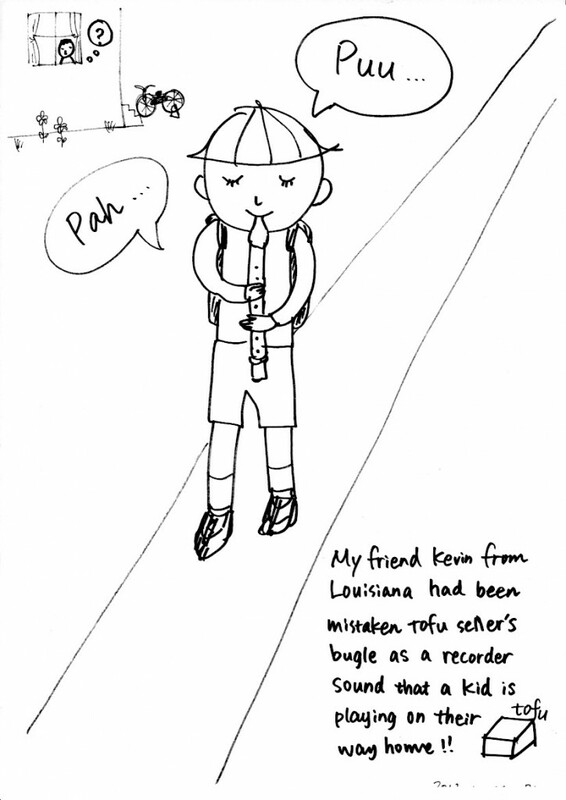 I have a friend from Louisiana. He is also my English teacher. This entry was posted in 03_First Son (Taka) on 2013/12/26 by mangadiary. 4 years old Taka seems to be interested in bones. He asked me today at the dinner table, “Why are animals have bones?”. Anyway, Merry Christmas! >>>See Japanese version of this cartoon. 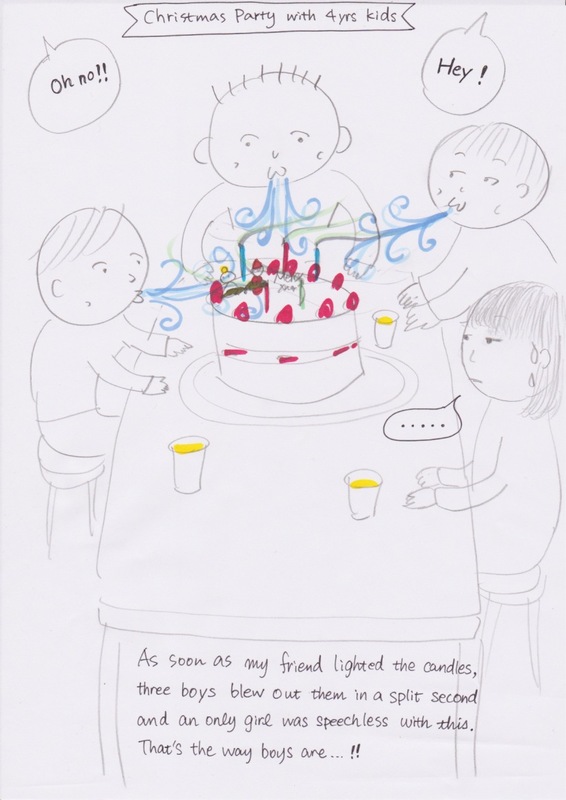 This entry was posted in 03_First Son (Taka) on 2013/12/24 by mangadiary. We had a Christmas party with nursery school classmates at my home. 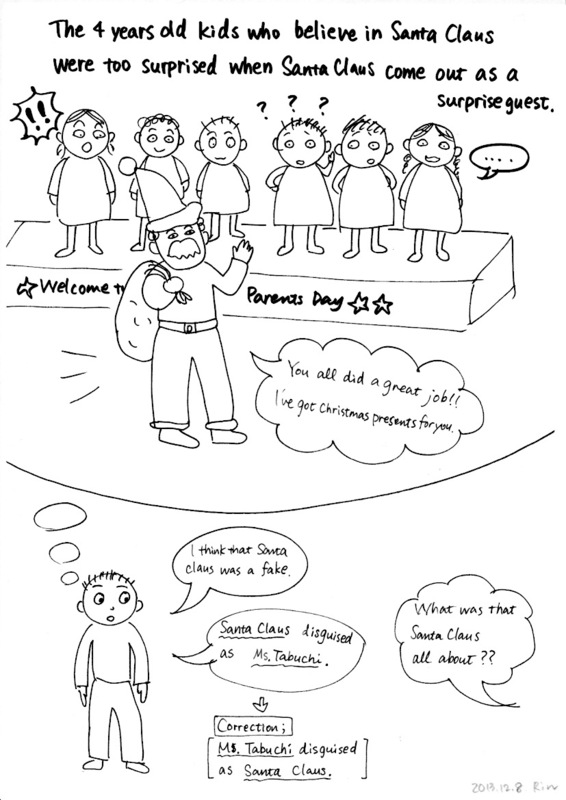 This entry was posted in 03_First Son (Taka) on 2013/12/23 by mangadiary. This entry was posted in 03_First Son (Taka), 07_Yamaha Music School on 2013/12/17 by mangadiary. My friend visited us today. I tried very hard to make Taka say “Hello.” to Mizuho-chan but he didn’t open his mouth at all. Finally, I offered a stupid suggestion and he accepted it. 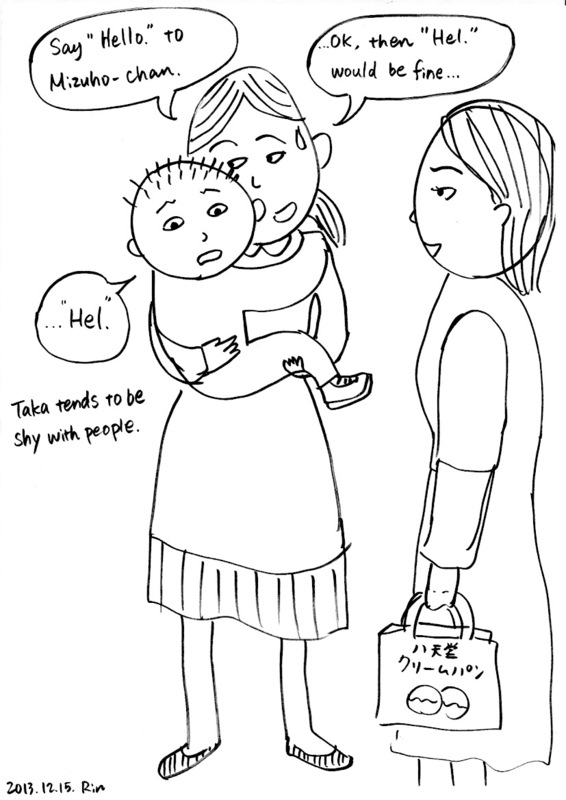 This entry was posted in 03_First Son (Taka) on 2013/12/15 by mangadiary. 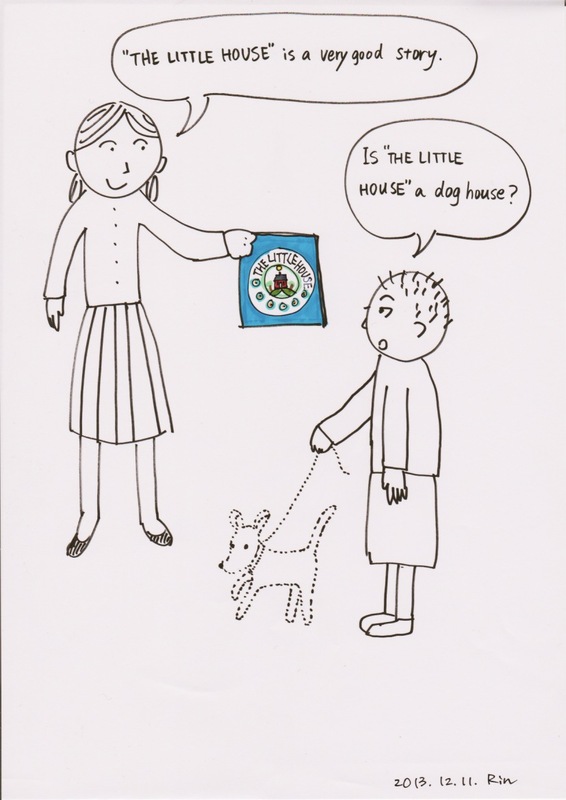 When I recommended the popular picture book “THE LITTLE HOUSE” to my 4 yrs son and he asked me one question. Well, this “little house” is not that little as you imagine, boy. 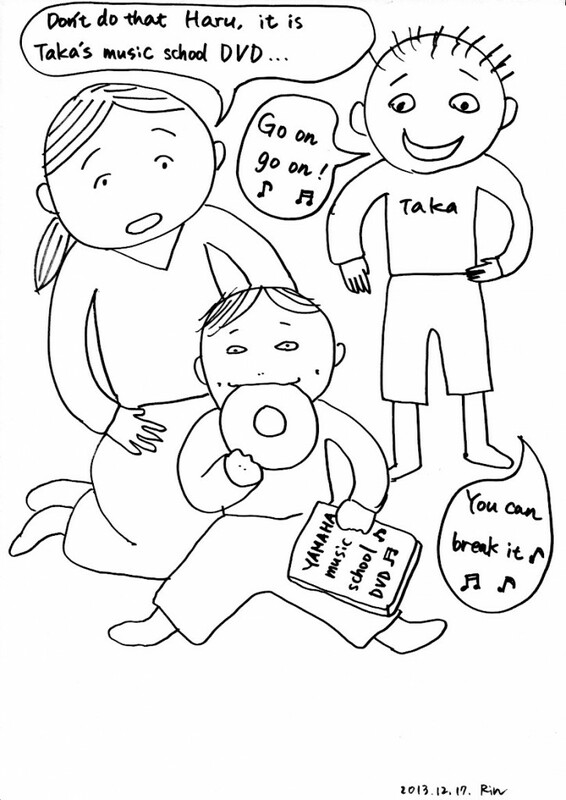 This entry was posted in 03_First Son (Taka) on 2013/12/14 by mangadiary. I often use this “running nose vacuum” as babies can’t blow their nose. 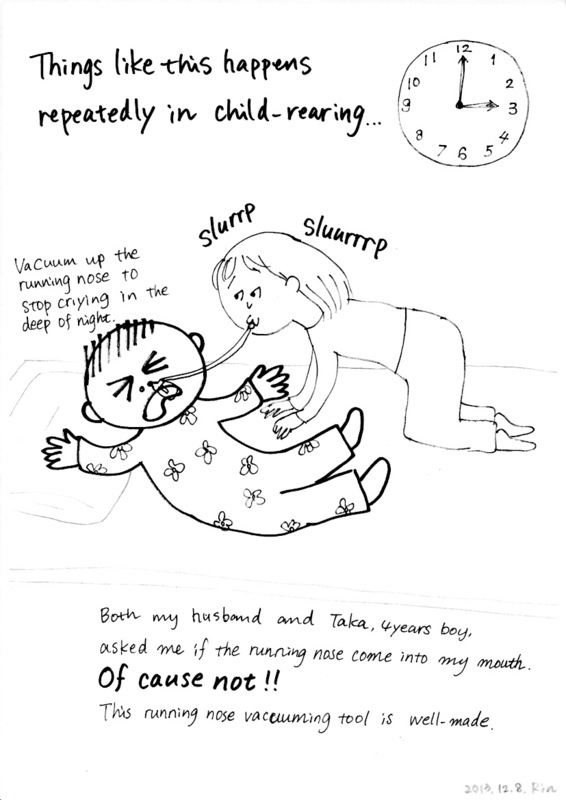 This entry was posted in 01_Working Parents, 02_Child Rearing Problems, 04_Second Son (Haru) on 2013/12/13 by mangadiary. My 4 years boy is on the way of understanding the world around him. 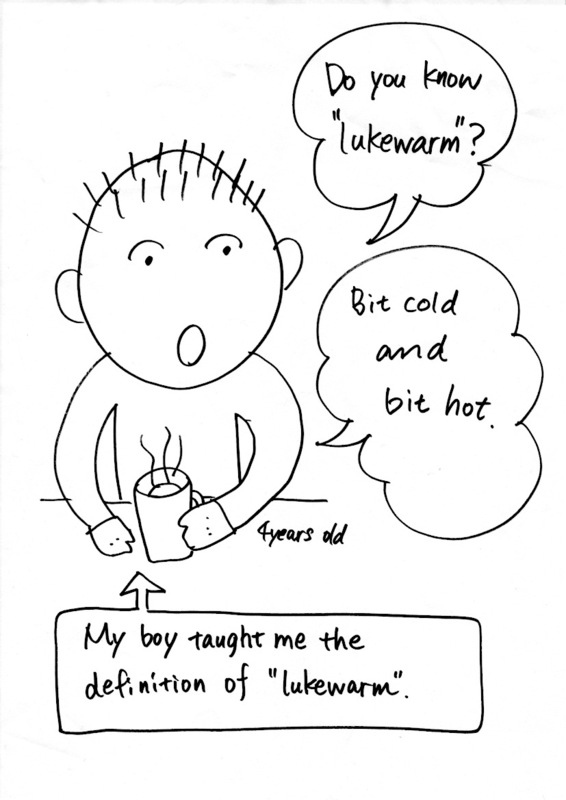 This entry was posted in 03_First Son (Taka) and tagged 4 years old, lukewarm, words on 2013/12/12 by mangadiary. 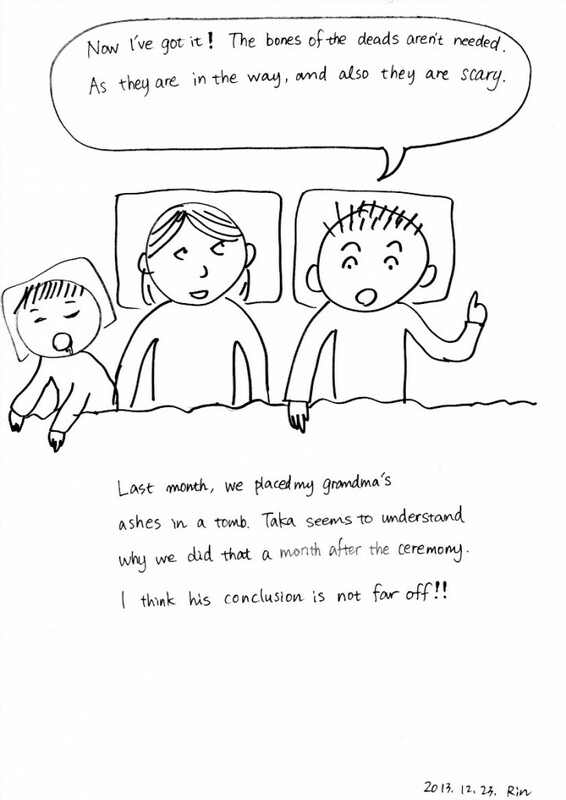 I attended at Parents Day of 4 year old Taka’s nursery school. That’s fun in many ways. This entry was posted in 03_First Son (Taka) on 2013/12/11 by mangadiary. Masa, my husband sometimes got some doughnuts as there’s a Krispy Kreme doughnut at Kawasaki station. But in the end, he doesn’t eat any of them. It happens every time. Why he doesn’t learn to eat dinner smaller portions so that he can eat what he bought?